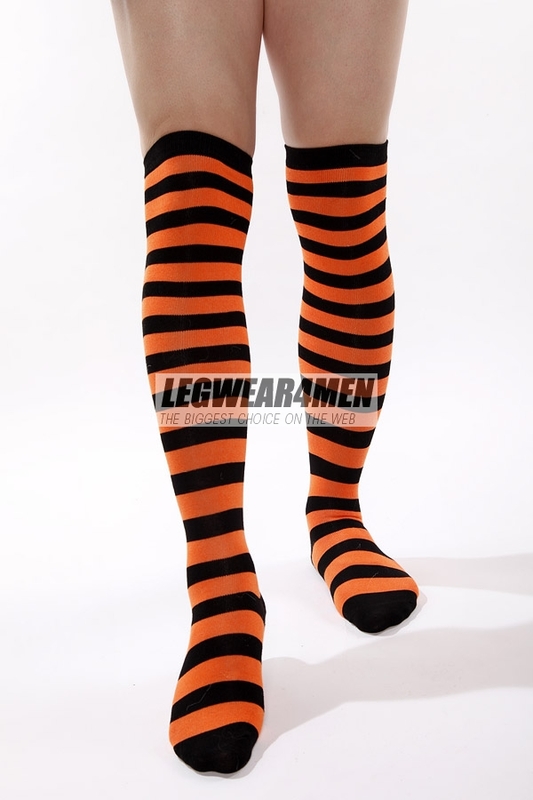 L4M 1030 Unisex Cotton 'Shima-socks' [L4M 1030 Cotton 'Shima-socks'] - £4.49 : Legwear4Men, - because men have legs too! 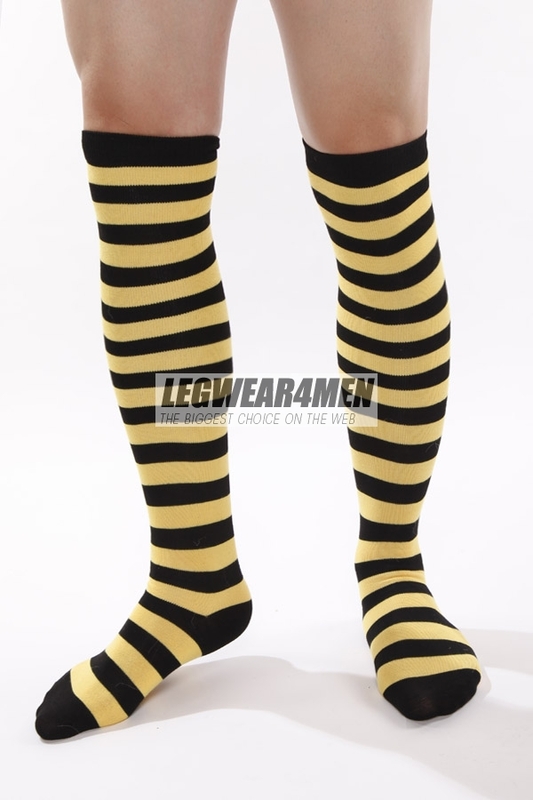 The new Model 1030 'Shima-socksu' striped opaque 'nīsokkusu' from Legwear4Men are a classic design, but based on the famous 'Shima-socksu' (over-the-knee striped stockings) which are known and loved by fans ('otaku') of Japanese 'anime' and 'manga' worldwide, as they are famously worn by many 'anime' heroines! They come in yellow/black, green/white and red/white horizontal stripe. One size. They are made from soft, stretchy cotton/nylon/elastane, and are incredibly comfortable, and heavier and warmer than the existing model 1020.